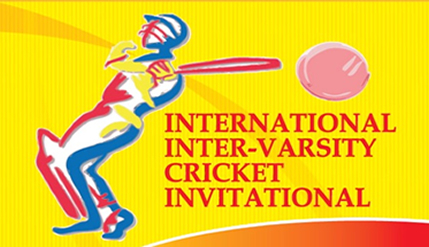 BANGI, 16 July, 2010 – Universiti Kebangsaan Malaysia’s (UKM) cricket team, is determined to retain its championship status against four other teams in the International Inter-Varsity Cricket Invitational Championships from July 19 to August 5. The team expects to face stiff competition from The University of Western Australia which comprises players from the State Sport’s Excellence Centre. UKM team supervisor, Encik Fairus Shafie said the UKM team is determined to repeat its feat last year with the players undergoing daily training since early this month. UKM’s confidence is boosted by the presence of eight of its players being members of the national cricket team with the team consisting of players with an average of 18. Teams from the National University of Singapore (NUS) and University of Western Australia (UWA) are making their debut, while the other two teams are from the University of Colombo and Christ University India. The championship, formerly called the Asian Inter-Varsity Invitational championship, offers a prize money of RM4,800 for the champion, RM3,200 to the runner-up and RM2,560 to the third-placed team. UKM were last year’s champions defeating Chittagong University. On the home front, UKM, with eight national players, recently emerged champions in the Inter-varsity 2010 Championships and the Stoner Shield. The matches will be played at Oval Cricket Bayuemas, Klang, Oval Cricket UKM and Oval Cricket Kinrara in Puchong. UKM team: Ahmad Faiz Mohamed Noor, Mohd Shafiq Mohd Sharif, Aminuddin Ramly, Mohd Farouk Hakimin, Nik Azril Nik Ariffin, Mohd Shahruknizam Yusof, Zaid Asyraf Nor Azmi, Derek Michael Duris, Faris Almas-Lee.